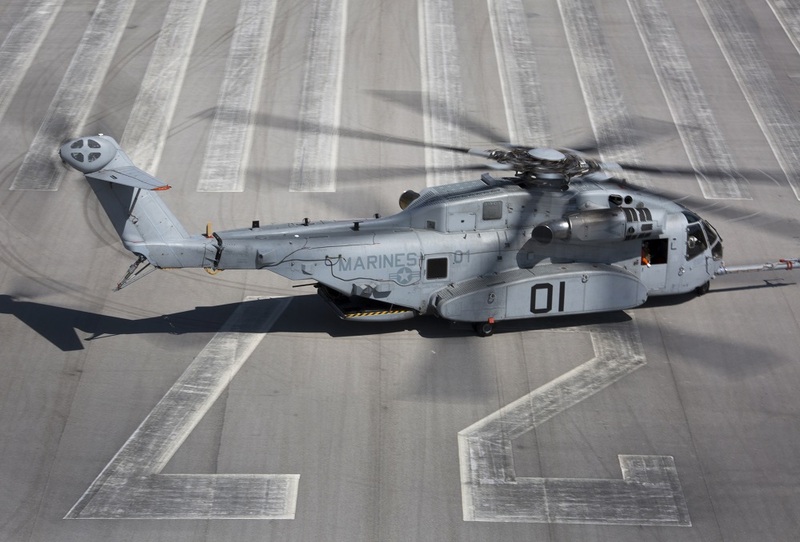 The U.S. Navy has awarded Lockheed Martin’s Sikorsky division a contract to start producing the U.S. Marine Corps’ new CH-53K King Stallion heavy lift helicopters. The company will produce two of the massive rotary-wing aircraft under a so-called “Lot 1” Low Rate Initial Production [LRIP] fixed price contract worth $304 million. NAVAIR awarded Sikorsky the contract following the Pentagon’s April 4 Milestone C decision to allow the CH-53K to enter into its “Production and Deployment” phase. Sikorsky is expected to start deliveries from this Lot 1 contract in 2020. But propulsion is not included in the contract. The Navy is buying engines for the aircraft as “Government Furnished Equipment “ under a separate contract with General Electric. Ultimately, the Marine Corps hopes to buy 200 CH-53K under its “Program of Record.” The service will eventually have eight active duty squadrons, one training squadron and one reserve squadron of CH-53Ks if it completes all of its planned purchases of the new helicopter. The King Stallion — though it shares a common designation with earlier CH-53 helicopters — is a completely new aircraft from earlier machines in the series. The new helicopter has about as much in common with the previous CH-53E as the Boeing F/A-18E/F Super Hornet does with earlier “classic” F/A-18A/B/C/D model Hornets — basically nothing. Compared to the CH-53E, the King Stallion has three times the lift capability and has a cabin that is a full foot wider. The wider cabin gives the new helicopter massively increased internal volume — enough to carry an HMMWV or a European Fenneck armored personnel carrier inside while still leaving the troop seats installed. Additionally, its external hooks can lift three independent external loads simultaneously — which is a huge capability boost for the Marine Corps. In terms of its flying characteristics, the CH-53K is much improved over its predecessor. The King Stallion features full authority fly-by-wire flight controls and mission management systems that reduce the pilot’s workload. Some of the helicopters new features include advanced stability augmentation, flight control modes that include attitude command-velocity hold, automated approach to a stabilized hover, position hold and precision tasks in degraded visual environments, and tactile cueing. All of these features make the helicopter easier to fly and safer for the Marines the aircraft will carry into battle.